“There is unspeakable comfort, the sort of comfort that energizes, in knowing that God is constantly taking knowledge of me in love and watching over me for my good. There is tremendous relief in knowing that His love to me is utterly realistic, based at every point on prior knowledge of the worst about me, so that no discovery now can disillusion Him about me, in the way I am so often disillusioned about myself, and quench His determination to bless me. It’s only when we understand our utter sinfulness and God’s profound holiness that we will begin to fully appreciate God’s phenomenal love for us! 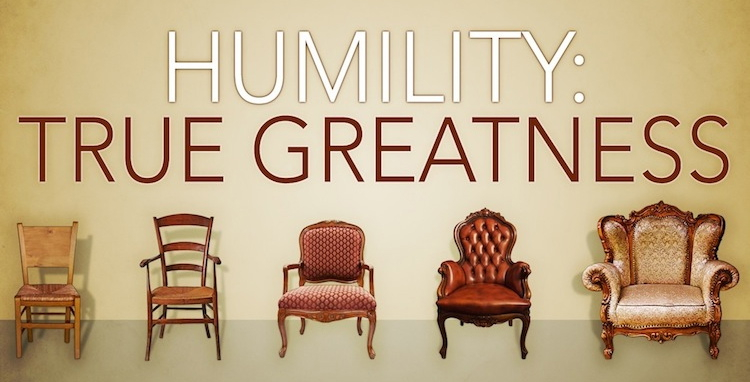 When we understand these truths, the natural response is humility! This God who is perfectly holy in every way, and we who are utterly sinful through and through – this God, this Lord, this Jesus – loves us immensely and promises to always work all things for His glory and for our good. My answer would be: Humility. No one has helped me more in understanding what a “prideful, arrogant” life looks like as opposed to a “humble, broken” life than Nancy Leigh DeMoss. Her superb book entitled, Brokenness: The Heart God Revives, would certainly be among the best and most personally impacting books that I have ever read. Over the years, I’ve had dozens of men approach me about wanting to go into full-time ministry. Many times they tried the “self-promotion” route and came up empty. In many of these situations, no doors opened for them and no one seemed to be asking. When asked for my opinion, my counsel has always been: Faithfully and humbly serve Christ where you are, with the opportunities that are in front of you. He promises to do the ‘exalting’ when and how He wants. He will open those doors if, when and how He desires. Trust His sovereign hand. Either choose to humble yourself before God and others or let God do it for you! Trust me, I’ve been in the second category too many times to count (it’s painful).